highlights | what's the pH? For stylists and colorists, Oscar Night is the Superbowl of events. Every year we watch anxiously, a glass of wine clenched in one hand and our cell in the other, waiting to text our friends with the funniest comment of the night. We can’t wait to jump all over the train wrecks and Ooh and Ahh those who thought outside the box and NAILED it. What really stood out to me this year (and warmed my heart just a little bit) was the fact that so many stars gave credit and thanks to their stylists. In a world of product placement and how many millions of dollars are wrapped around one’s neck, it’s nice to have a shout out to those of us behind the scenes. And for me, the hard work was most evident in the ravishing redheads that graced the carpet. As a colorist, I often hear from my clients “I’d love to go red, BUT…I don’t know if I can pull it off with my coloring.” After watching the Oscars last night, I want to tell them “YES, you can.” I saw four glorious women, all so incredibly different each owning their copper color. On the lightest end of the spectrum was best supporting actress nominee, Jessica Chastain, radiant in a pale copper. This can be easily attained for any blonde simply by applying a demi-permanent, high shine glaze. I love WellaColor Touch for a natural, long-lasting red. Emma Stone and best supporting actress nominee, Berenice Bejofall into the rich Celtic copper hues. These shades tend to work better on skin tones with pink undertones and are easy to achieve with minimal lightning and a medium copper glaze. 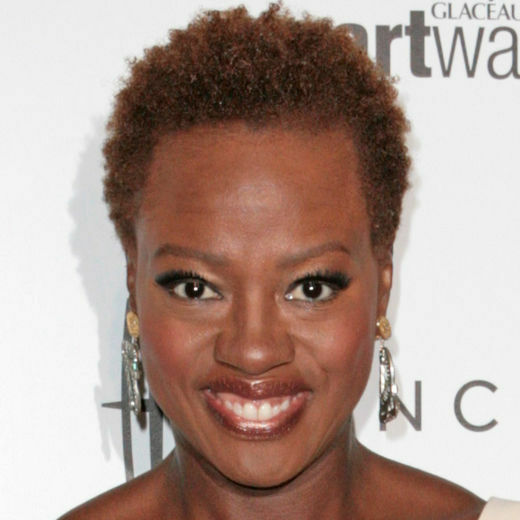 The home run of the night for me, however, was the wonderful Viola Davis, who wowed me with her natural style and complementary auburn hue. For women with darker or more olive complexions, I’d go a bit less orange and more auburn like Viola. You can add lighter pieces to the ends, but I’d keep the root a deeper red. For those just dipping their toes into the red sea, I’d suggest a few well-placed highlights around the face in auburn or copper shades or else a demi-permanent glaze that will wash out in 4-6 weeks. Your colorist will work with you to determine the best palette for your inner celebrity. In between sorting through the endless Farmville updates and Photo of the Day features on Facebook, I have many thought provoking, often hilarious conversations with my girlfriends about a wide range of topics. The past month alone has brought up at least three discussions involving hair color that I wanted to expand on. Hopefully I can debunk some classic hair color myths that have been hammered into our heads by that Giant of reliable information, Cosmopolitan magazine. HOW THIS MYTH BEGAN: Even as recently as the 80’s, hair color contained about three times as much ammonia as it does today, making it much more irritating on the scalp. 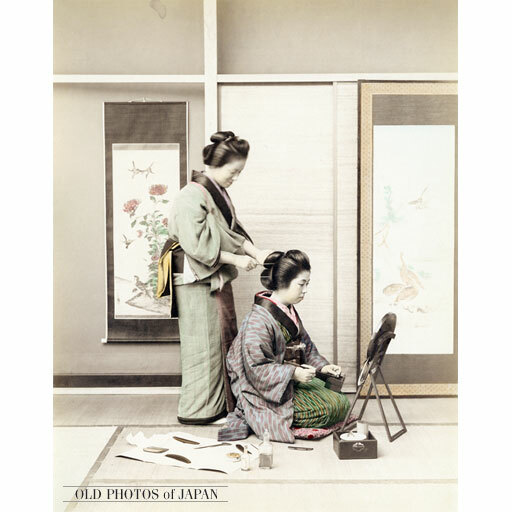 To prevent women from getting serious scalp irritation, hairdressers would tell women to wash their hair the day prior to color service (as well as putting sweet n low and cigarette ashes into the color bowl), allowing natural oils in the scalp to be a buffer between the scalp and the color. Somehow this evolved into coloring “dirty” hair. THE pH: I recommend washing hair the night before a color service and not scrubbing your scalp too aggressively. You don’t want hair to be visibly oily or (gasp!) smelly. Too much oil can interfere with color and you want to make sure you get the most beautiful results for your money. As a side note, this myth also applies to getting an updo or formal style. Please wash your hair the day or evening before an updo service. While you don’t want your locks too flyaway, you also don’t want excessive oil or styling products to get in the way of your dream hair. THE pH: I’d say that 70% of my corrective color clients are those who have dyed their hair at home, have been unhappy with the results and have then tried to “lighten” it with another box dye in another shade, only making it darker than before. Sorry girls, but once that color has been processed, another box of color will not make it come off and will certainly NOT make it lighter. If your “Espresso Brown” comes out more like “Elvis Has Left the Building Black,” I would first suggest washing your hair immediately with hot water and Palmolive dish detergent mixed with a little baking soda. Wash 2-3 times until there is no pigment left in the suds. Hair color takes approximately 48 hours to neutralize, so the sooner after the accident the better. If this still isn’t enough, call a professional, but whatever you do, do NOT buy another hair color kit! THE pH: Oh really? Did you read what I just wrote about dish detergent sucking out your hair color? Many shampoos have the same ingredients as dish detergents or bath gels and have been designed to clean hair and remove styling products. Those same shampoos will lift your color out right along with your Aqua Net. My suggestion is a color safe shampoo and conditioner, preferably one with NO SULFATES. 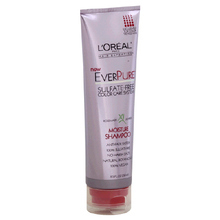 Low range: L’Oreal EverPure Sulfate-Free ($5.99). A terrific drug store shampoo and conditioner, available for different types of hair. 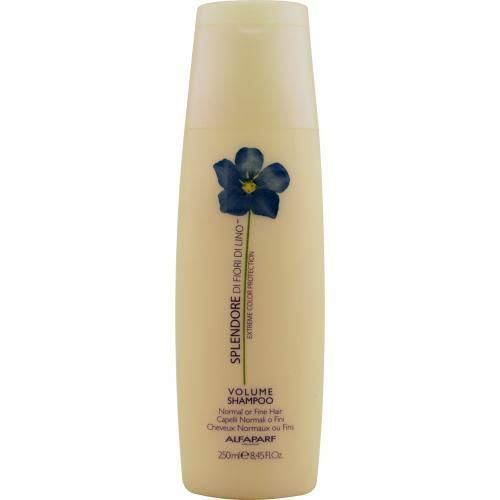 Mid range: AlfaParf Splendore Volume or Hydrate ($17.99). One of my favorite color safe shampoos by a wonderful Italian company, now available at Linensandthings.com. THE pH: It would be irresponsible of me to say that hair is never damaged by color, especially by over processing and pushing hair to the limits of its capacity. I will say, however, that hair color is improving every day and in many cases can actually be beneficial to the hair. Demi-permanent colors, or “glazes” contain no ammonia and coat the hair shaft, leaving it glossy, shiny and tamed. Since they don’t contain ammonia, they wash out gradually, rather than grow out from the scalp, leaving telltale roots. Hair color companies have also significantly reduced the ammonia levels in their permanent lines, making the smell much more pleasant, the scalp less irritated and leaving the hair in significantly better condition than in years past. Even highlighting is gentler these days. I use a highlight paste in the salon that contains essential oils and moves very slowly to prevent the hair from blasting out blonde, and combine this with a hand-painted “balayage” highlight. This process of painting the hair’s surface eliminates the use of foils and the heat that comes with foiling, potentially causing breakage. Now just because color is improving doesn’t mean that people are, and I’d like to take a moment here to address the topic of over processing. As a hair color client, you need to know your hair’s capacity. If you experience breakage, brittle or weakened hair, talk to your stylist about steps you can take to get your hair healthy again. Remember, not everyone is supposed to be a platinum blonde and a responsible colorist will work with you to ensure your hair’s optimum health. Blondorexia is a disease but it’s a treatable one. Your colorist is worth a million Lady’s rags, er, magazines. Don’t ever be afraid to ask questions and gain knowledge about exactly what you’re doing to your hair. I welcome questions and will be happy to address any of your hair color needs. I’m not going to lie, I love this time of year! December in the salon is always bustling with holiday spirit. The holiday also means gift giving and I’ve been very lucky to be on the receiving end of many beautiful, generous and well thought out gifts from my clients and I truly appreciate them all. So I hope what I’m about to say doesn’t come across as sentimental fluff. Yesterday I had a brand new client come in for highlights. When I asked her how she heard about Edris Salon (and me), she told me that she stopped someone on the street and asked her where she got her hair done. The person on the street gave this woman one of my business cards and the woman called the next day to make an appointment. As a colorist, I was touched by this story and I’m so thankful that the woman on the street had my card on her and shared it with a total stranger. So you see, while the holiday gifts are incredibly appreciated, the best gift that you as a client can give your stylist is a referral. I’ve actually had people say to me, “I don’t want too many people to find out about you because then I won’t be able to get an appointment.” I can assure you, this is not the case. As a matter of fact, the opposite will happen. I will go out of my way to fit in good clients who return often and send their nearest and dearest and I know that most stylists feel the same way. So remember, referrals are the gifts that keep on giving all year long. Next time you’re in your favorite stylist’s chair, take a few business cards and pass them along to friends. You’ll be surprised how touched your stylist will be by this simple gesture.